Sanford and Hawley provides many services to contractors and consumers. Our goal is to work hard for our customers to make their projects successful. We hope you'll stop in and let us help you with yours. Sanford and Hawley has its own custom millwork shop. 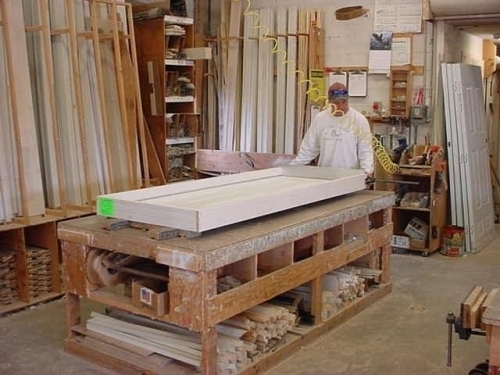 We produce quality millwork including window and door casing kits, prehung steel and fiberglass doors, custom prehung doors, raised panels, mantels, entrance heads and other custom millwork.